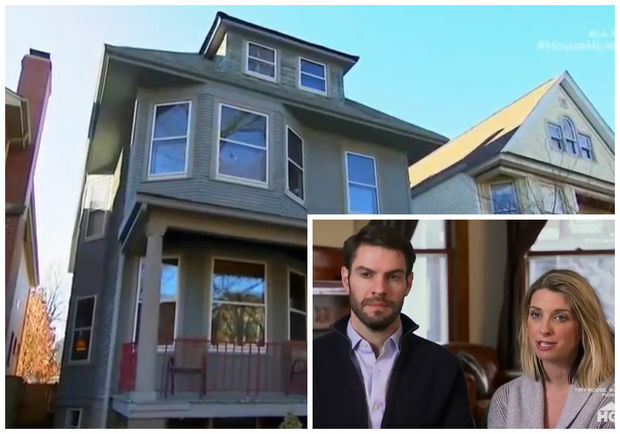 'House Hunters' Hits Roscoe Village, Andersonville, 'Burbs: Which Wins Out? Chris and Jen of Roscoe Village look for a house in the city on "House Hunters." ROSCOE VILLAGE — For Chris and Jen, the neighborhood was great. The Roscoe Village duplex they co-owned with a relative? Not quite right for the couple with a 16-month old and another child on the way. So the pair — he works as a surgical sales director; she's a retail store chain exec — went looking for a new home, an adventure captured on the popular HGTV show "House Hunters." Their real estate agent, Tiffany Moret of @properties, said the program was taped in February and aired in August. It was posted on YouTube this week. The couple's budget: $850,000. She wanted a home with character. He said he didn't want to "necessarily recreate a Dickens novel." On the show, Moret says finding the type of house they were looking for in their price range was going to be tough, with that level of single-family homes in Roscoe Village more likely to be priced at $1.2 million or $1.3 million at the time. Moret said the couple was looking for new construction or rehabbed homes in Roscoe Village and North Center with four or more bedrooms. The first home they looked at wasn't far from their duplex: still in the Roscoe Village neighborhood, an area bordered by Lincoln and Western avenues, Addison Street and Belmont Avenue. Priced at $849,000, the five-bedroom, four-bath Victorian had a remodeled kitchen that they liked but the finished basement scored high on Jen's "ick factor." The second was in Northwest suburban Park Ridge. Chris liked the "symmetrical" Craftsman style. The kitchen was too dark for Jen. Lastly, they headed to Andersonville to take a look at a $799,000, three-bedroom, 3½-bath house. They both liked the fenced yard and the deck, but he thought the fireplace was too close to the kitchen. As for the kitchen, Jen says, "It's basically everything I don't want: dark cabinets, very basic granite countertops. The appliances are black." The winning home "was a good mix of location and neighborhood, size and amenities," Chris said. Which do they pick? See the episode below.